Hikvision’s AI Cloud is a highly efficient distributed computing network incorporating the advantages of both Cloud Computing and Edge Computing. This hybrid computing structure helps relieve the concurrency stress on the cloud by moving huge amounts of data processing to AI-enabled edge devices. A more reasonable and efficient resource allocation that can solve the network congestion and low reliability problems typically inherent in a conventional cloud structure. Some of the other AI-empowered Smart Transport Solutions from Hikvision are FRS System, Deep Learning, Vehicle Identification system, Wrong way vehicle detection system and AI Cloud. Dhakan said, “India is one of the fastgrowing markets as far as security and surveillance solutions are concerned. System Integrators and end-users always look for new solutions. Indian economy is one of the most stable and robust economies in the world. We hope India’s growth story will bring a lot of innovations and investments in the security industry. The Transport Authorities are very positive, and they are open to innovative AI-based solutions. The awareness about AI is growing due to innovative solutions and applications. The future of smart transportation belongs to AI based video surveillance camera system and multiple AI based applications. Intelli-Vision Technologies Pvt Ltd is a twelve-year old OEM video analytics company having its offices in Pune (Maharashtra) and Noida (Delhi). The accompany is a pioneer in video analytics equipment across the globe. In India its products are deployed in major cities like Hyderabad, Delhi, Mumbai etc. Intelli-Vision’s products are used and deployed with Toll Management Companies, Pune- Mumbai Express Highway, Gujrat Highway Authority, Indian Defence, Indian Navy, Confidential Defence Buildings / Borders and premium chain of hotels Including Lemon Tree & JW Marriott etc. 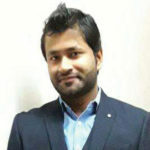 Gokul Ojha, Business Development & Projects- India, Middle East, North America and South East Asia, Intellivision believes AI will briefly change just everything. Unmanned vehicles will be able to help with Gokul Ojha, Business Development & Projects- India, Middle East, North America and South East Asia, Intellivision believes AI will briefly change just everything. 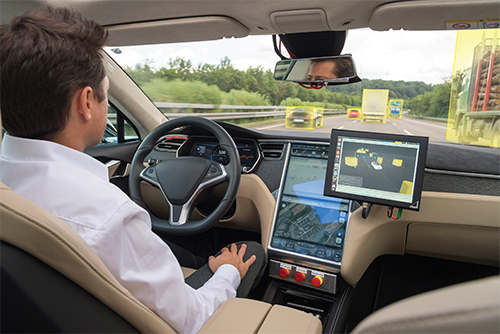 Unmanned vehicles will be able to help with fully autonomous commute and reduce human involvement. Also the vehicles can generate some income by performing as a taxi service (in certain hours/days while unused), automatically re-fuel in a gas station or find parking lots. Artificial Intelligence is revolutionizing human and computer interaction. • Vehicle detector can report about presence of an object: a person, a motorcyclist, a car in safety area (gates). Ojha said, “India is a fast-growing economy with rapid infrastructure development. So, we cannot find any better place where there will be more consumption than here. We have seen the growth in enquires, thanks to government’s initiatives like Digital India and ambitious projects like Smart Cities. More than half smart city projects have our back-end engine in all the I-O-T based AI requirements. Our ANPR solution is accurate and we foresee tremendous & overwhelming growth in India. M/s Mediatronix Pvt Ltd, a product focused, research, development & manufacturing company, is involved in Design to Manufacturing of products in the Traffic enforcement and detection segment for 25 years. One of the main and significant achievements of its R&D unit since inception has been the continuous development, indigenous manufacture and deployment of several traffic monitoring & enforcement products like red-light violation detection systems and overspeed detection systems with many hundreds of installations in India. Most vehicle detection cameras in the market today use conventional image processing techniques like background subtraction and scene learning. These techniques are very error prone to moving objects, stationary shadows, changing light conditions etc. Moreover, there is a learning period during which detections are not available. 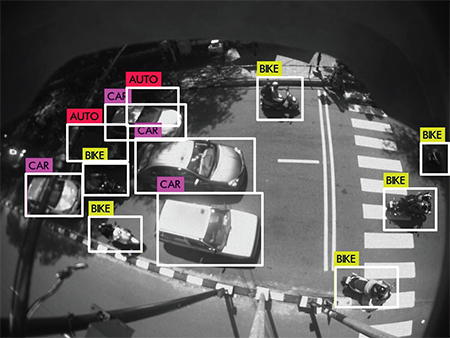 Mediatronix’s new intelligent vehicle detectors use Artificial intelligence (Deep learning) to make the vehicle detection free from the above disadvantages, in addition to offering new features. These techniques do not require any hardware sensor on the ground, making the installation easy and also maintenance-free. Every smart city requires to augment the use of AI in safety and security of its people and places. As per Kannan Natarajan, CEO, Mediatronix, with the new AI-based algorithms, the system is not susceptible to shadows, varying light conditions, moving tress, varying environments and other moving objects. The system produces reliable result during both day & night. In addition to significant reduction in false errors, as stated above, these new detectors can also do vehicle classification (bus, car, truck, auto etc), precise vehicle localization, vehicle counting and traffic congestion alert generation. They offer multi-zone operation, stationary vehicle detection and vehicle direction detection. It is also capable of distinguishing people crossing the street. The more internet technology is penetrating in everybody’s life, the more people are exposed to cyber attacks. The software that fuels the computer operations is subject to security vulnerabilities by hackers. Every smart city requires to augment the use of AI in safety and security of its people and places. But it should happen coupled with stringent safety regulations against future precariousness of artificial intelligence. Ashish Dhakan said, “Cybersecurity is not only the responsibility of product manufacturers. Everyone who participates throughout a project’s life cycle, including users, system integrators, operators, system designers, other service providers, are all responsible for using cybersecurity best practices and face the same challenges. The solution to this problem is 30 percent technology and 70 percent management; all stakeholders need to work together to contend with cybersecurity obstacles. Artificial intelligence is thought to be another rising technology that is going to significantly impact the human society. It is already evolving to its next stage due to the emergence of new social needs such as smart cities and unmanned driving, as well as significant changes in information environments like the Internet, mobile computing, cloud computing, Internet of Things and others. In short, the next generation of Artificial Intelligence is moving towards big data intelligence, collective intelligence, and crossmedia intelligence.